Rhizome’s still fairly new and there are plenty of organisations and networks out there that haven’t heard about us. We’d appreciate your help to change that. 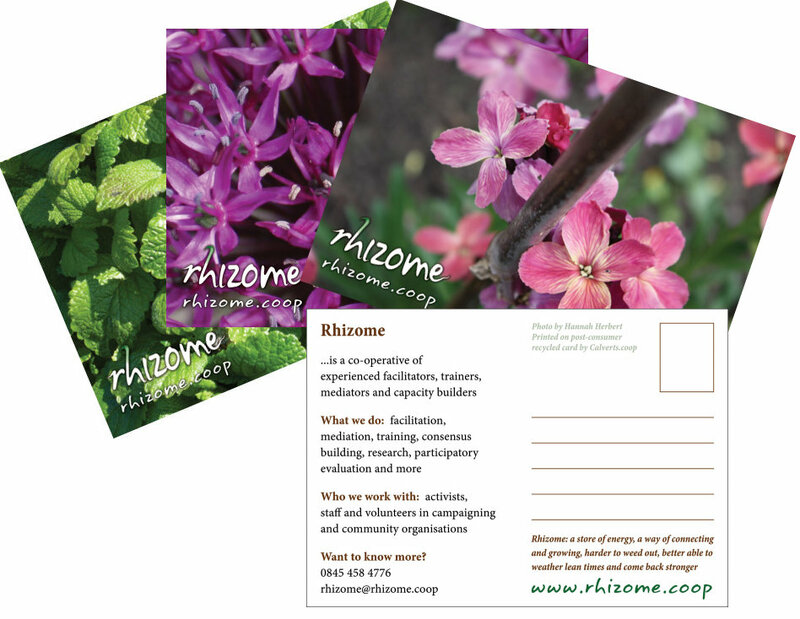 We’ve finally got round to producing some publicity materials – a series of 8 postcards with a little bit of info about Rhizome and a funky photo on the front. If you can distribute a few to friends and contacts working in activists networks or the NGOs that support and work with activist networks, get in touch. Of course you can also link to this site, mention us on your blog, tweet about us, or just use good old-fashioned word of mouth. < Mapping the activist experience	> Rhizome resources now online!